* Not for XP Power Steering models. 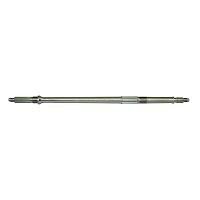 See AX41125HD for Heavy Duty Demon Complete Axle. 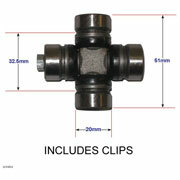 See AX41124HD for Heavy Duty Complete Axle. 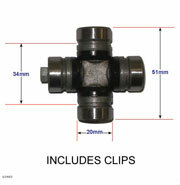 Aftermarket Ball Joint fits a wide variety of Suzuki applications. Suzuki Eiger 400 4x4 Front Upper and Lower. Includes Boot, Clamps and Grease Pack. 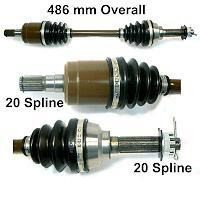 *Note: Features adjustability by simply swapping spline spacer locations. * Will not fit LTZ250. 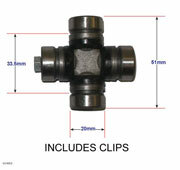 Outer CV Joint Repair Kit. Rear Inner CV Joint Repair Kit. Front Inner CV Joint Repair Kit. 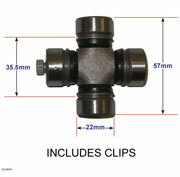 Universal Joint for Front & Rear Shaft. 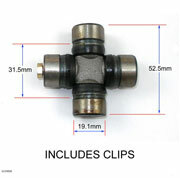 Replaces Yamaha 5GT-46187-00-00 Spider and 93399-99948-00 Bearing Cap. 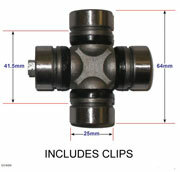 Universal Joint for Suzuki and Kawasaki. Cap 25mm, Cap-Cap 64mm,Grove to Grove 41.5mm. Cap 20mm, Cap-Cap 51mm,Grove to Grove 32.5mm. 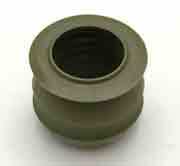 20mm Cap - 53mm, Cap to Cap,Grove to Grove 33.5mm. 20mm Cap, 51mm Cap to Cap, Grove to Grove 34mm. 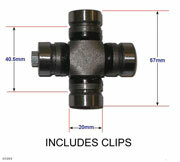 Dimensions: 22mm Cap, 57mm Cap to Cap, 35.5mm Grove to Grove. 29.1mm Cap, 52.5mm Cap to Cap, Grove to Grove 31.5mm.